Customer reviews play an important role when it comes to sales on the Amazon marketplace. As shoppers, we want to hear what other customers are saying about a product before we buy it. Not being able to try before we buy when purchasing online can bring uncertainty. Customer reviews give buyers reassurance and help them make a more informed buying decision. When launching new products on Amazon, it can be a challenge to get those first few customer reviews to help get sales rolling. On the seller side, brands have the Early Reviewer Program or can request reviews by making direct contact with the buyer, as long as it adheres to Amazon’s policies. On the vendor side, direct contact with the end consumer is not possible. This makes it even more difficult to get those first few reviews. To help vendors, Amazon has the Vine program, which is trusted customer review program only available to manufacturers or distributors that have a vendor relationship with Amazon. Vendors send a limited number of free units of an item in to Amazon in exchange for a review. The program is accessible via Vendor Central and vendors must pay a fee to enroll products into the program. The program gives vendors guaranteed, credible reviews from Amazon’s Vine Voices. Products enrolled in the program will be reviewed by Amazon’s top reviewers known as Vine Voices. Not just anyone can be a Vine Voice, you need to receive an invite from Amazon to be one. Amazon selects their Vine Voices based on the reviewer’s rank. Reviewers are ranked on how helpful their reviews are to other customers and the more recent the review, the greater the impact on rank. It’s not about the quantity of reviews that have been written, it’s the quality and how helpful the reviews were for other customers. In a vendor training video, Amazon states that 90% of consumers read product reviews. Reviews can greatly influence the customer’s buying decision. It helps give the buyer confidence, determine the best product for them and can distinguish items from the competition. This in turn helps conversion and sales. 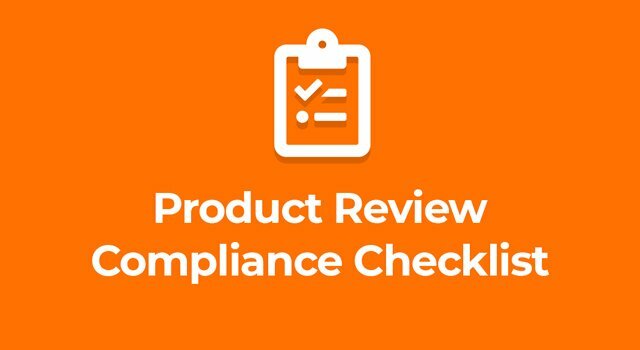 With the Vine program, there is a limit on the number of products that can be reviewed of the same SKU. Amazon recommends sending in at least 5 units with a maximum limit of 30 units. The quality of the review is far more important than quantity. A detailed, informative review explaining the item in detail is of more value than 10 reviews that have a few words saying "item is great" telling the customer very little about the actual product. Not all customers trust customer reviews, this was especially the case when there was an influx of biased product reviews being generated by sellers offering free or heavily discounted products in exchange for a review. But Amazon matching the vendor’s products to the most relevant reviewers and having the Vine Voice badge appear under the review gives reviews credibility and helps regain customer trust. In addition, the Vine program is the only review program available to vendors, who have limited options to accelerate customer reviews outside of this initiative. It is simple for vendors to be part of the program. All they need to do is log in to Vendor Central and enroll a product into the program by selecting the ASIN to enroll and agreeing to Amazon’s terms and conditions. Vendors then select their targeting criteria such as age, interests and gender. Once enrolled, the vendor needs to create and prepare the shipment of samples as per Amazon’s requirements and send in the stock. Based on the targeted criteria and product category, Amazon’s algorithm will match the items to their Vine Voices, ensuring the products get in the hands of the most relevant reviewers that will write a detailed review for that product. They will offer the product to this targeted group and these Vine Voices can then decide if they would like to review any of the products. If a Vine Voice wants to review the item, they just order the product and post a review within 30 days of receipt of the item. Vendors can track the number of items that have been selected to review and the review ratings in Vendor Central. Until recently, the process has taken at least 42 days from date of enrollment to the item being available to review. However, the process has now changed with a goal to reduce this to 21 days. Before Vine Voices would receive a monthly newsletter from which they could select the item they wished to review. Now they can enter the system and see the items available for them to review as soon as the items are in stock. Amazon Vine is recommended for vendors with new products or items that have few reviews and are struggling to generate sales. With the Vine Program, there is no guarantee that the products will receive positive reviews. Vine Voices will leave honest, unbiased feedback. You want to ensure you are confident you have a great product before putting it in the hands of public critics.